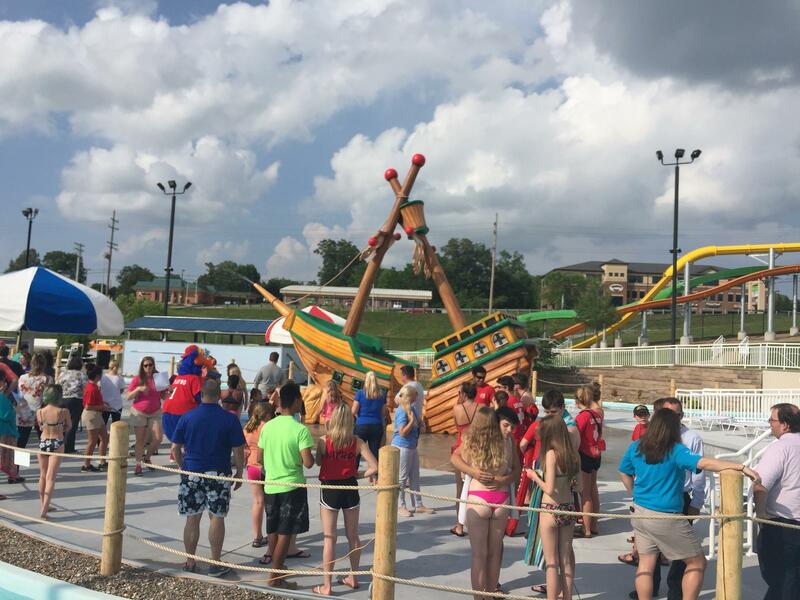 Cape Splash Family Aquatic Center experienced one of it’s most successful opening weekends last week after having recovered from a February fire on their water pump house. On the morning of Feb. 3, Cape Girardeau fire chief Rick Ennis spotted unusual smoke coming from the Cape Splash pump house while traveling on Kingshighway. By the time the fire department had arrived at the scene, the fire and smoke had already done most of the damage, costing nearly $750,000. The police department considered the fire a case of arson, and currently has a suspect in custody and under litigation. “You don’t operate normally under situations like this. You have to forego your normal procedures,” said Cape Girardeau Parks and Recreation Director Julia Jones at a city council meeting on Monday. Jones said under usual circumstances, many months go into preparation for the summer season at Cape Splash. But regardless of the major setback, they managed to not only open on time, but bring in an impressive $33,700 on the opening day of Cape Splash. At the meeting, Jones recognized the Police Department, Fire Department, and 13 individuals that helped restore the pump house before the season opener at the water park. Two of those individuals were Phillip Penzel, CEO of Penzel Construction, and his project manager, Clay Randall, who helped with the construction of the restoration of the project. She thanked all those who helped with the restoration, as the opening wouldn't have been able to happen without them. “It takes an amazing team to not only run a facility, but when a major catastrophe happens that shuts down all of your pump systems, the amount of communication and coordination, not to mention in a very short timeframe, all of these folks were able to communicate what was needed to be ready to open,” said Jones.